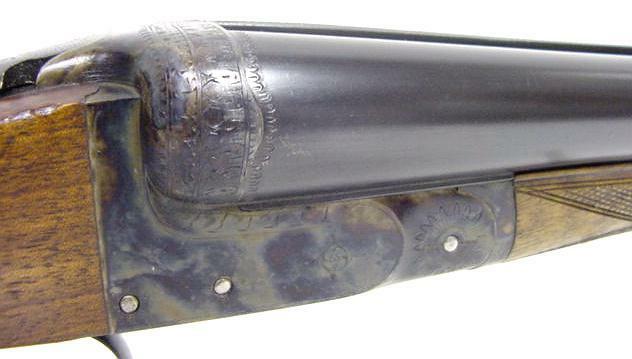 Under print of a rifle, open at the breech. Company originally founded in 1908. 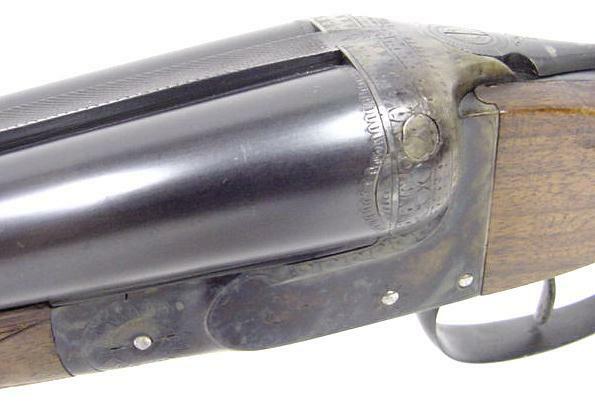 Although principally an arms manufacturer, the company was interested in sports goods and ironware of all sorts. 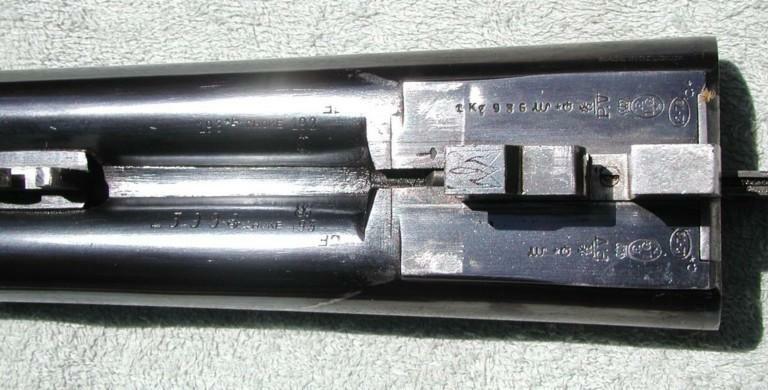 Shotgun hammerless to juxtaposed barrels of gauge 12. 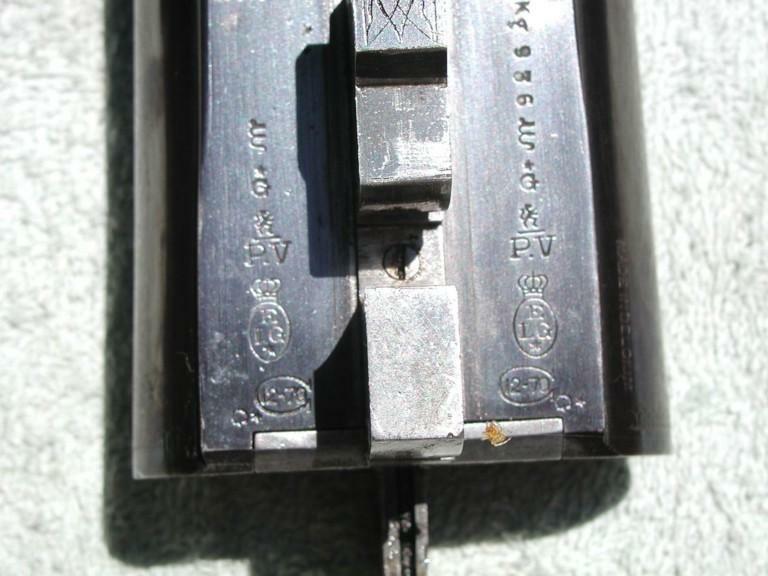 The opening of the weapon is practiced using the key top lever, a safety of the marked type GALAND S with the fine gold is placed just behind. The stick worked with English is out of wood of walnut fair (French?). AC spangled: countermark of the controller post 1877. 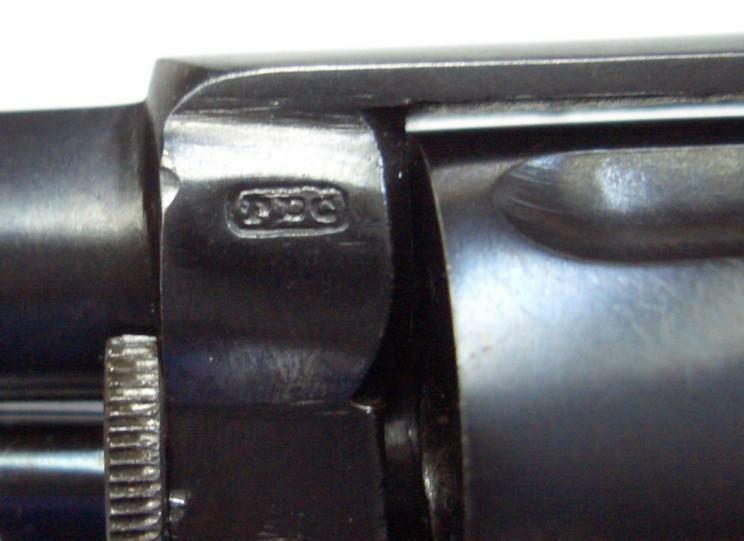 12-65 in an omega: gauge nominal and length of the casing, of use of 1924 to our days. 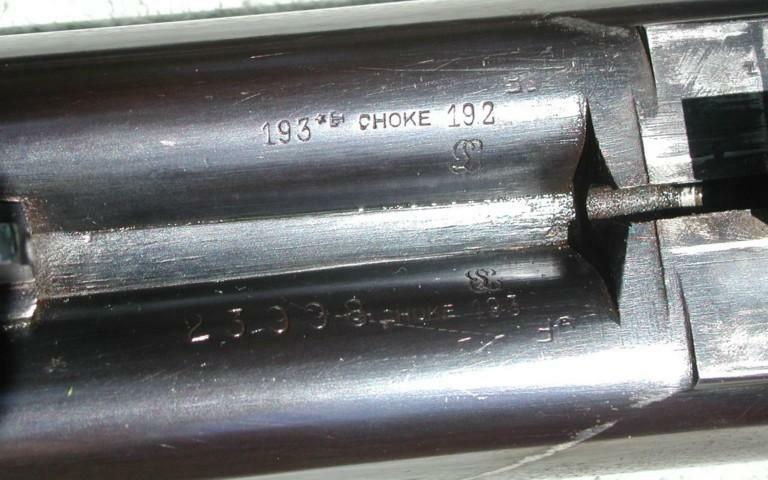 Choke 18.3: chokes barrels, gauged to 22 cm of the breech, of use of 1924 to 1968. 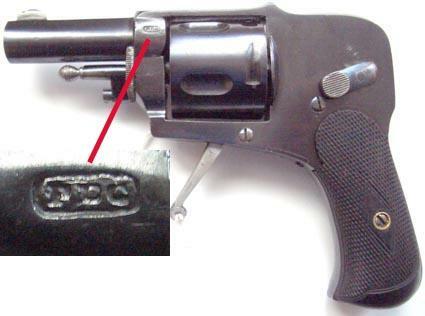 1 kg 518: weight of the barrel which can draw from the powders without smoke (weapons smooth) except for the gram. In use of 1924 to our days. 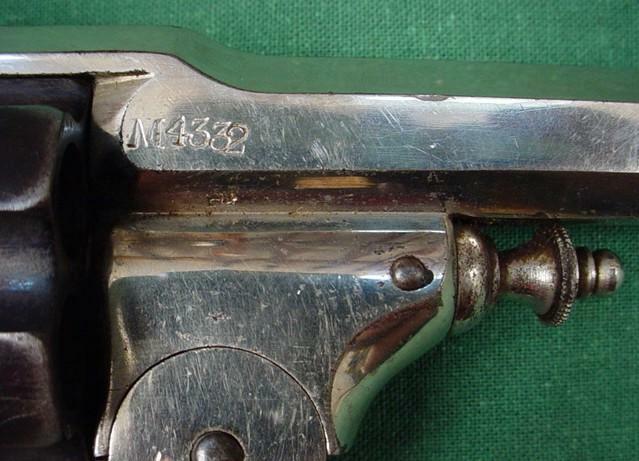 A.ROUFFIN: it is about the engraver of the weapon on which I do not have any information unfortunately. FRIED. KRUPP.A.G. ESSEN - SPECIAL GEWEER LAUP. 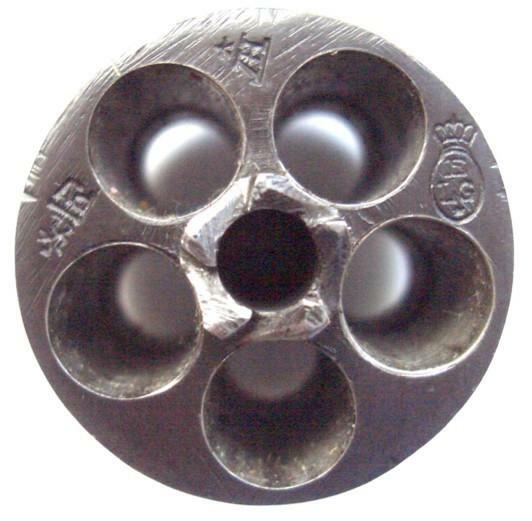 STAHL with drawing of 3 overlapping circles: it is about the type of steel used for the guns. 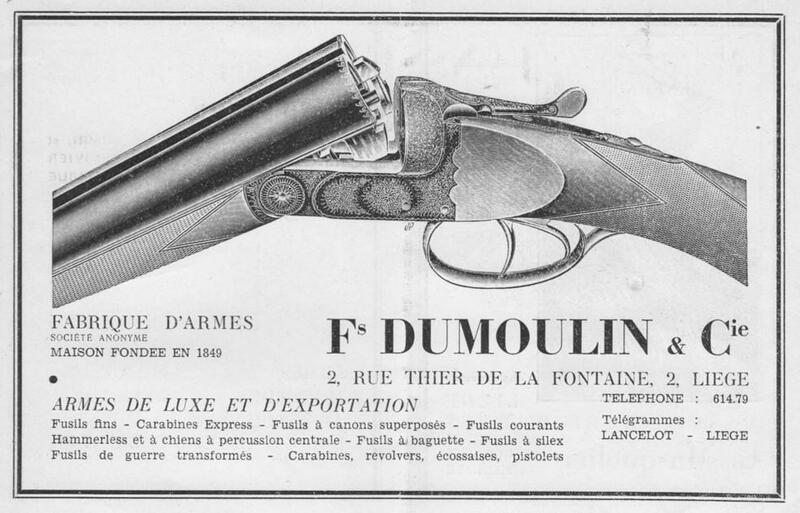 Appendix: a publicity of this firm presenting the same weapon more or less. 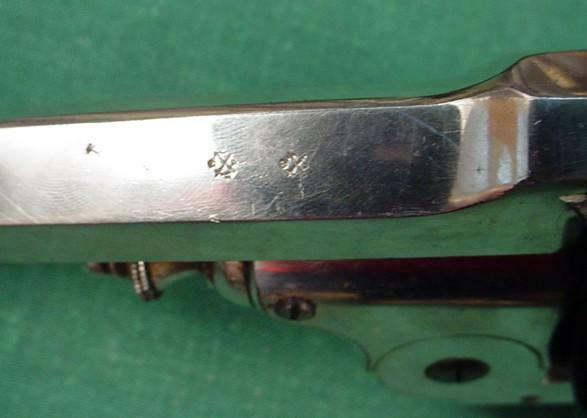 It is indeed about a rifle revolver to central percussion of late manufactured (see punches). The loading is done by a side door. The long cylinder is not grooved and is with six blows seems it to me. 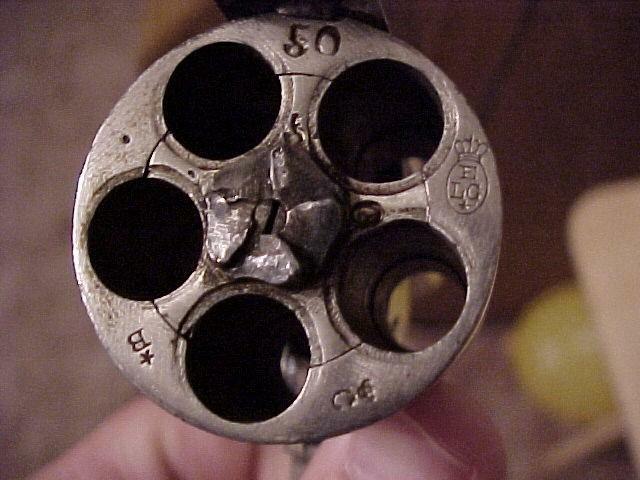 It is of the calibre 10,5mm. 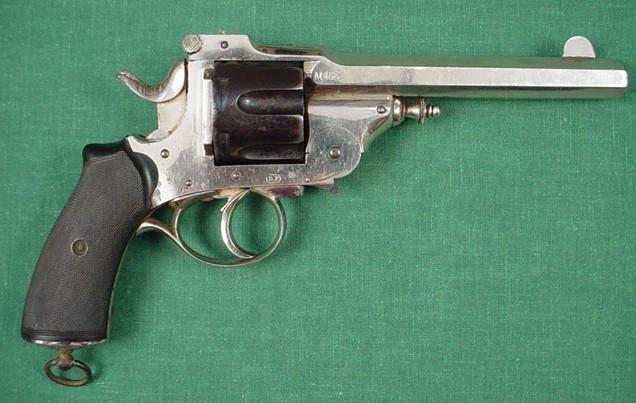 The stick is of type pistol and the hand-shield under the barrel is squared. The barrel with 8 sides must be striped, although I did not see the punch R crowned! 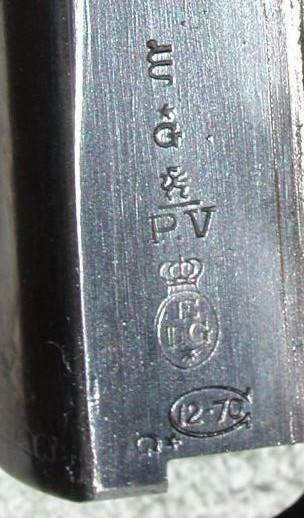 Spangled ELG in a crowned oval: acceptance post 1893, which seems to me late for a weapon of this type. It was probably intended for South America. E spangled: countermark of the controller post 1877. 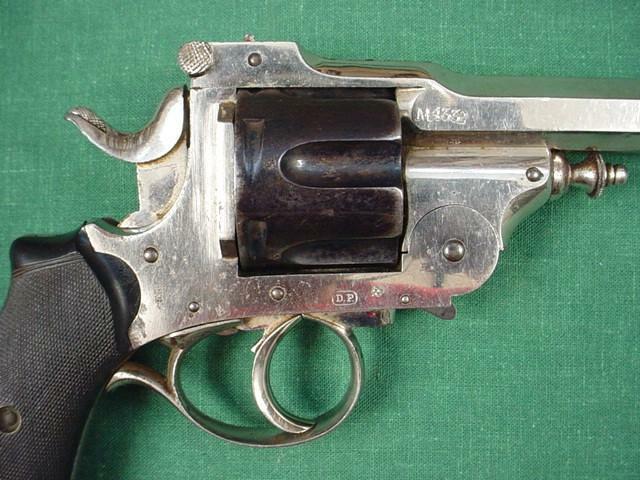 10, 5: calibre in mm, of use of 1889 to our days. L crowned: this mark does not belong to the proofhouse and I am unaware of what it indicates. 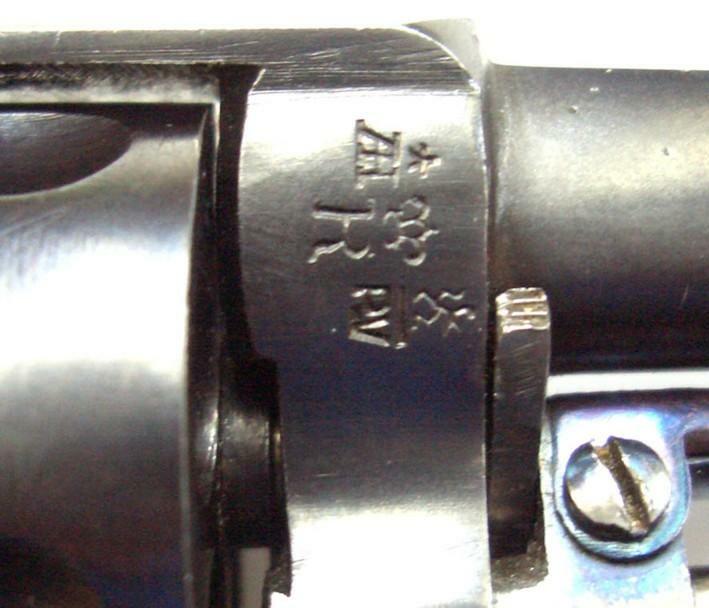 I allot it in any assumption to the founder of cylinder, since this mark is never met but on the cylinders. If you have a better explanation, I am taking. 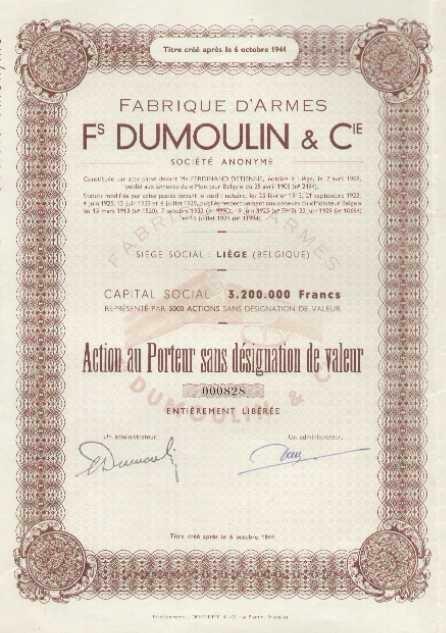 Mark F.DUMOULIN & C° belong like know it the readers of the “Who’s Who” at the firm François DUMOULIN & Co, manufactures from weapons, street Thier of the fountain, 2 in Liege (Proofhouse 1908/1968). The weapon is a shotgun to juxtaposed unrifled bores, gauges 16 hammers external with central percussion, key between the hammers. The stock in drowning is with English and the lock engraving in animalist copper-plate engraving. Crowned AF: countermark of the controller post 1877. 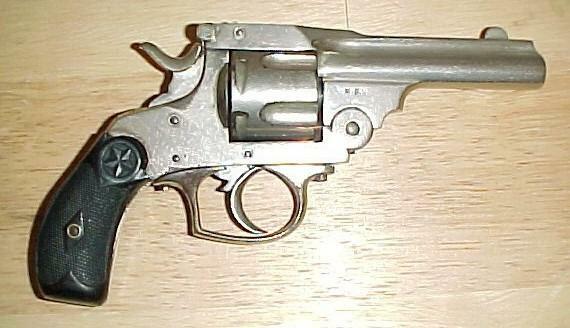 16C in a rhombus: gauge weapon, of use of 1898 to 1924. 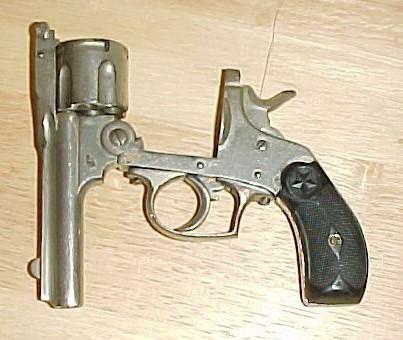 Choke 16.4/17.0: chokés guns: gauge in mm to 22 cm of the breech and the mouth, of use of 1910 to 1924. 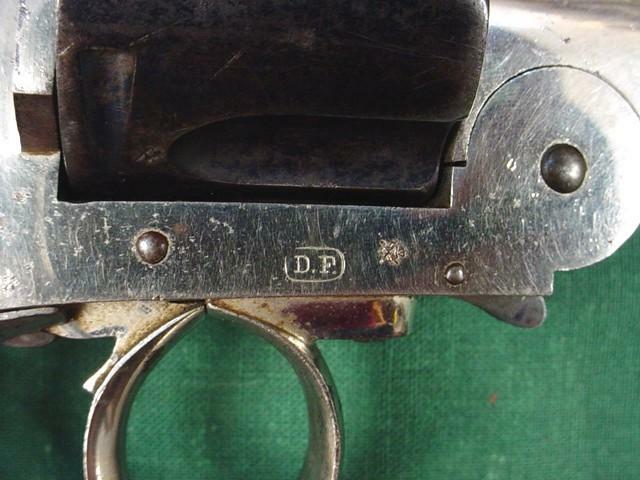 In accordance with the two last requests for identifications concerning of marked rifles LANCELOT à LIEGE and whose name of the manufacturer could not have been identified, I discovered publicities of the firm Fs. DUMOULIN street Thier of the fountain, 2 in Liege (Proof house 1894/1968) whose telegraphic address was LANCELOT - LIEGE. Coincidence is not in my opinion and I regard this mystery as being elucidated! E3 - 5F - sign omega: markings of workshop without known significance. ACIER GARANTI (GUARANTEED STEEL): without comment. Manufacture: between 1910 and 1924. 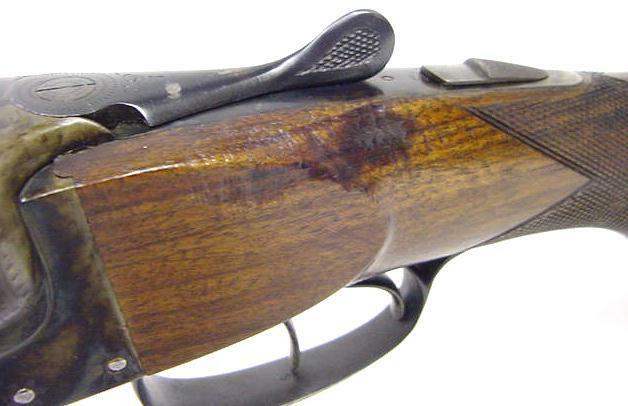 Rifle or collapsible rifle, according to whether it is striped or not, of type LECLERCQ or called “of poacher” because it could easily be dissimulated in clothing. The key of opening is known as “key snake”. 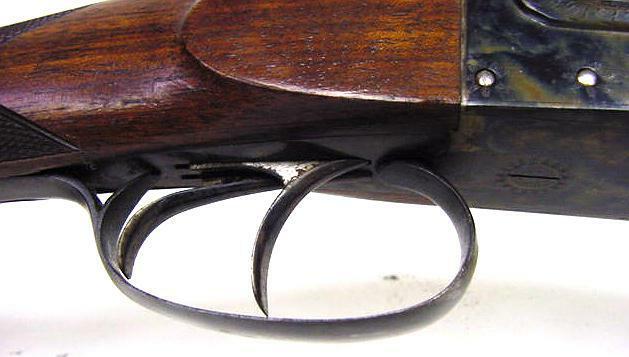 This type of weapon is present in many catalogs of the manufacturers of Liège of the end of the 19th century and at the beginning of 20th. The manufacturer of this one is François DUMOULIN & Co, street Thiers of the fountain, 2 in Liege and which was registered as manufacturer with the proof house of 1908 to 1968. 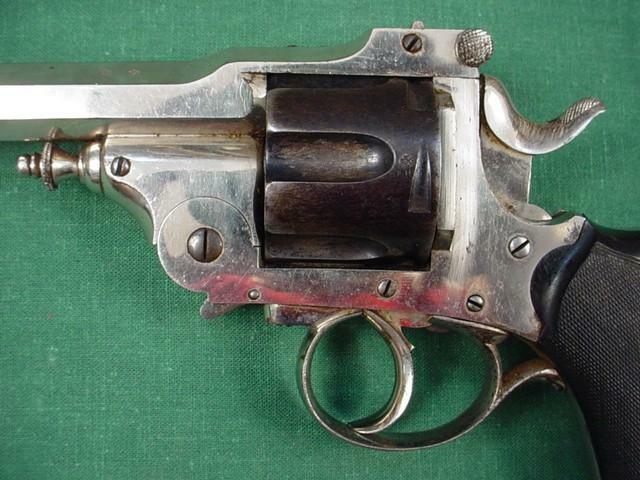 Again very traditional and very current "BOSSU" in other words a standard revolver Bulldog but with hidden hammer (hammerless). 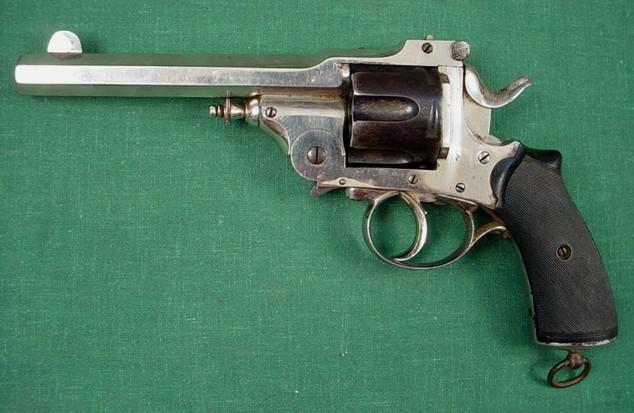 This type of weapon was manufactured in hundreds of thousands of specimens in Liege. Spangled ELG in a crowned oval: acceptance of 1893 to 1968. 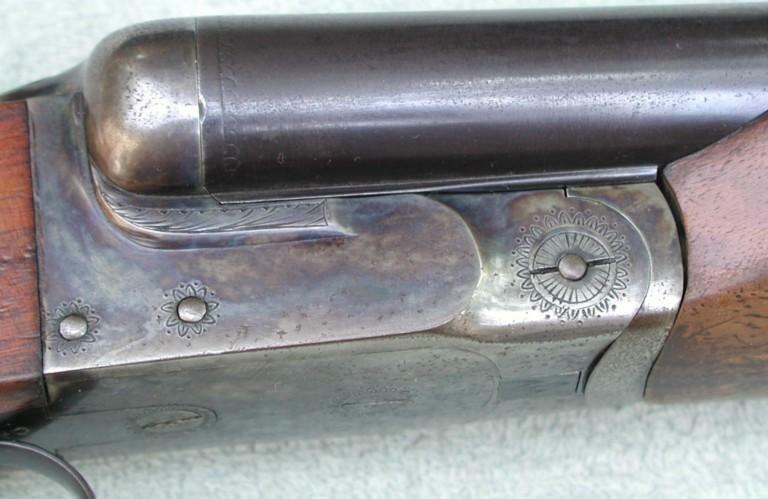 Spangled AH: countermark of the controller of 1877 to 1968. 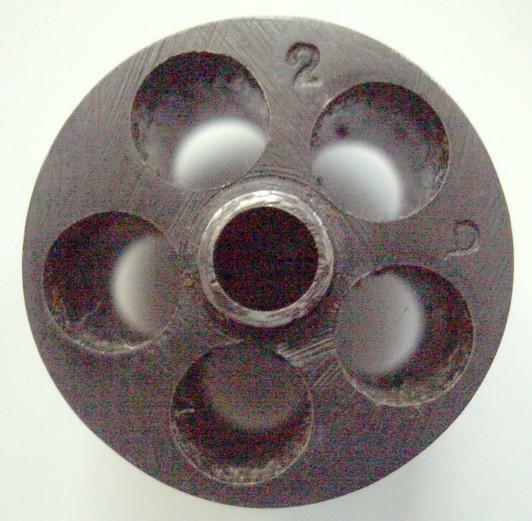 R crowned: rifled bore of 1894 to 1968. PV surmounted of a lion: test with the powder lives of 1898 to 1968. 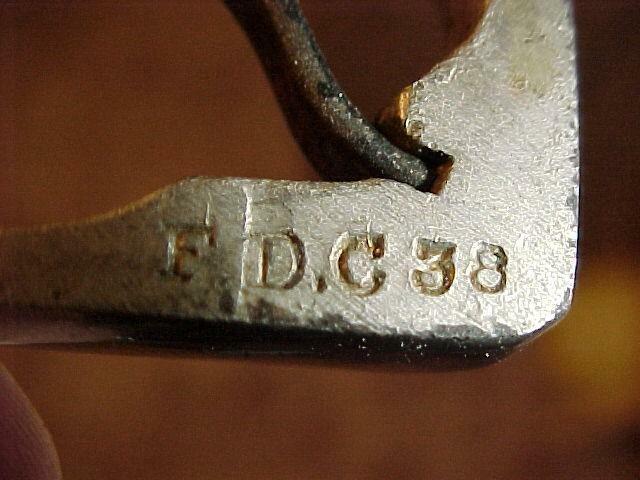 Here I would be careful because the mark is not easily readable, I think of reading F.D.C. in a cartouche, it would act then of François DUMOULIN & Compagnie already largely evoked on the site. 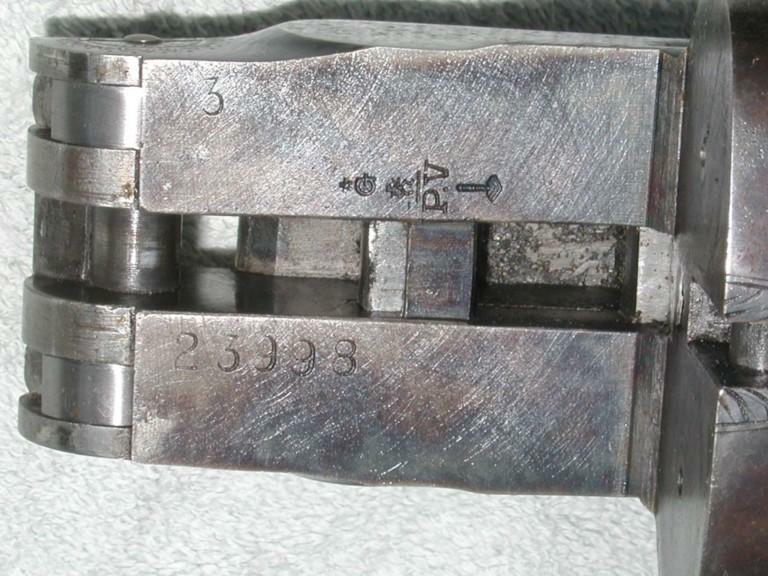 It acts of a copy of a foldable S&W caliber .38 like extracts it above from catalogue L.ANCION-MARX of 1909. I met some in other catalogues of Liège like LOVINFOSSE & HARDY in particular. I was astonished by bad quality by the punches by BE (except oval ELG) the punches by the controller leave me doubts. The mark with star is unknown for me (one moreover). 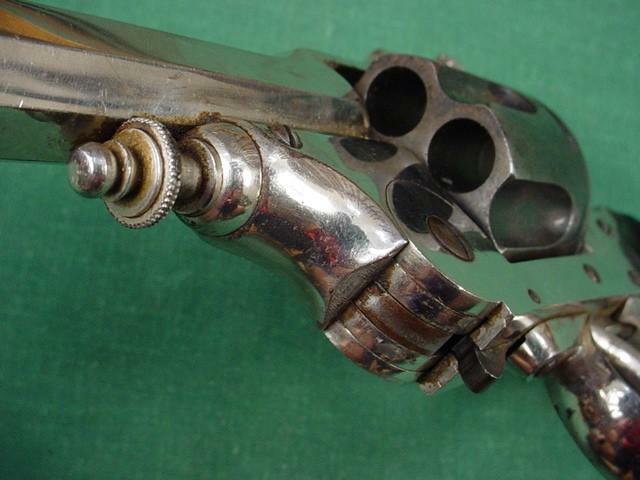 Traditional shotgun that this unrifled bore weapon and juxtaposed gauges 12 of them. 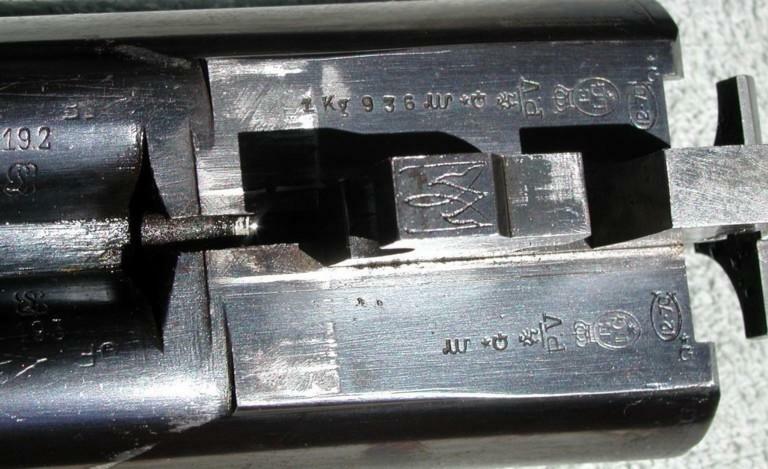 Locks are of type hammerless and the key of opening “Top lever”. PV surmounted of a stylized lion: test with the powder without smoke post 1898. 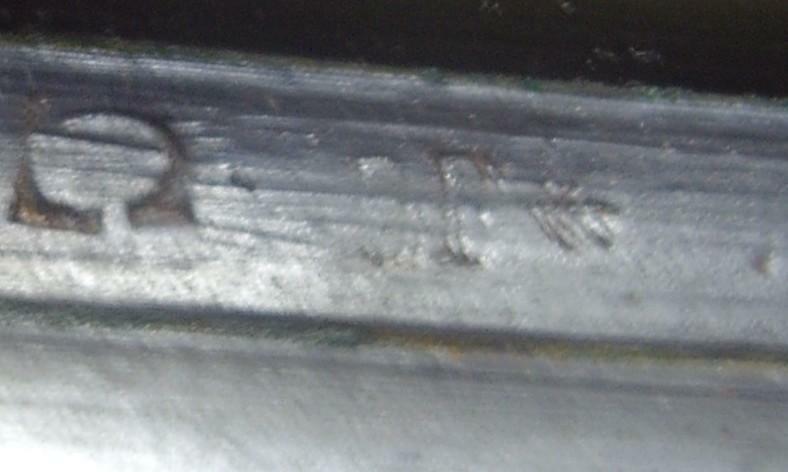 12-70 in large C: gauge nominal and length of the casing post 1924. CHOKE 19.2: chokés guns: cal. 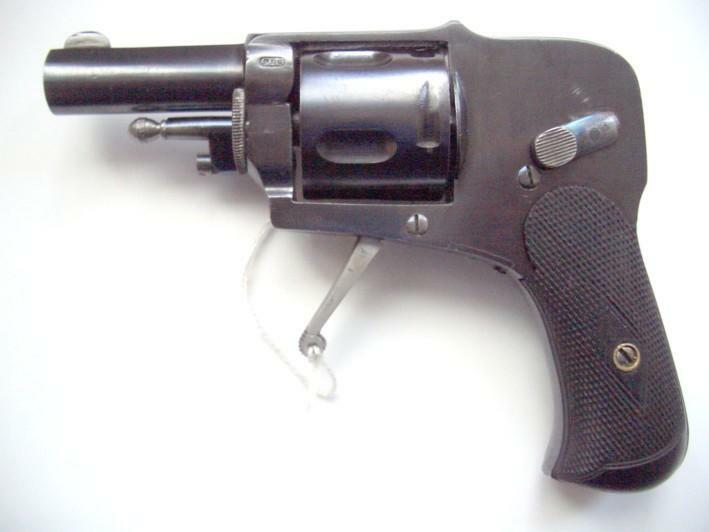 to 22 cm of the breech, of use of 1924 to 1968. 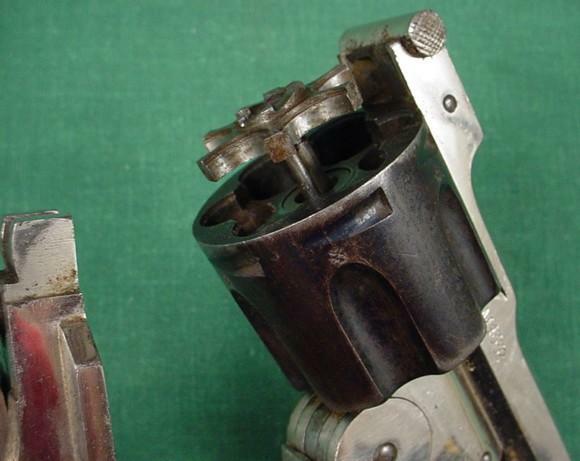 1 kg 936: weight of the gun which can draw from the powders without smoke (weapons smooth) to the gram. Post 1924. 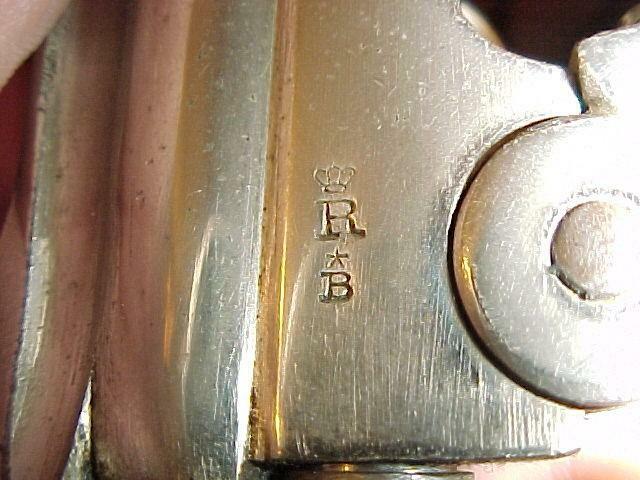 I saw other marks on a gun but the quality and the framing of the photograph prevented me from identifying those. 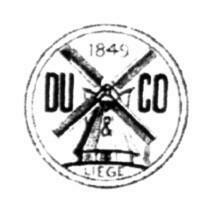 François.DUMOULIN & Co in Liege were largely evoked on the site, thank you to defer you to this one. 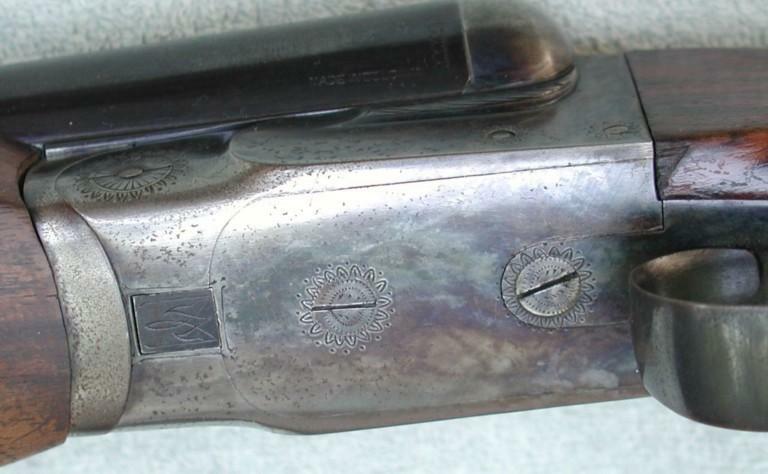 Beautiful shotgun to juxtaposed unrifled bores of gauge 20-70.Les locks ahead are of hammerless type with key top lever, they are decorated of a fine animalist and vegetable engraving. The stick in drowning is of gun type. Spangled ELG in an oval crowned - acceptance - 1893/1968. 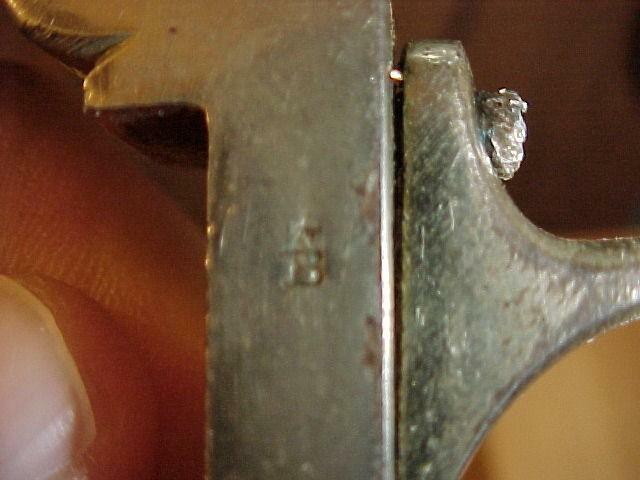 H spangled: countermark of controller WOIT Christophe (1938/1968) mark of use of 1877 to 1968. 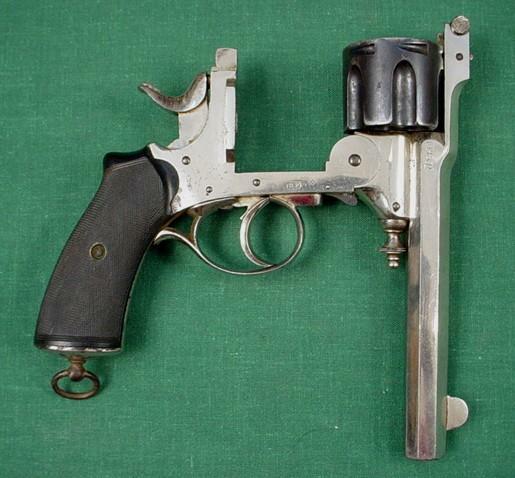 1 kg 027: weight of the gun which can draw from the powders without smoke (weapons smooth) except for the gram. 1924/our days. CHOKE 15.8 - 15.9: chokés guns: cal to 22 cm of the breech - 1924/1968. 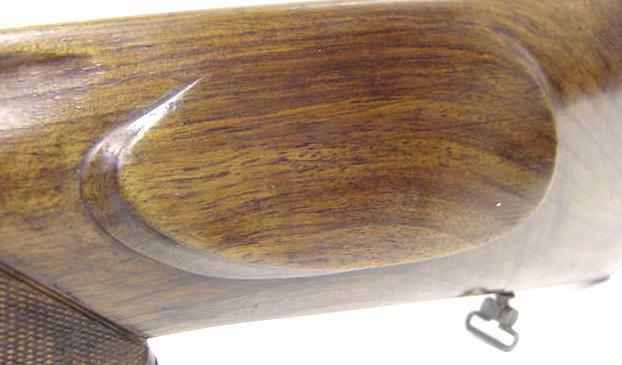 STEEL ARQUEBUSIER CAPE JF: the CAPE company is well-known as manufactures barrels. FALLA: also was manufacturer of barrels, useful himself of the steel of the precedent?? DF in a rectangle: is the mark of François DUMOULIN evoked on the site like the two precedents. 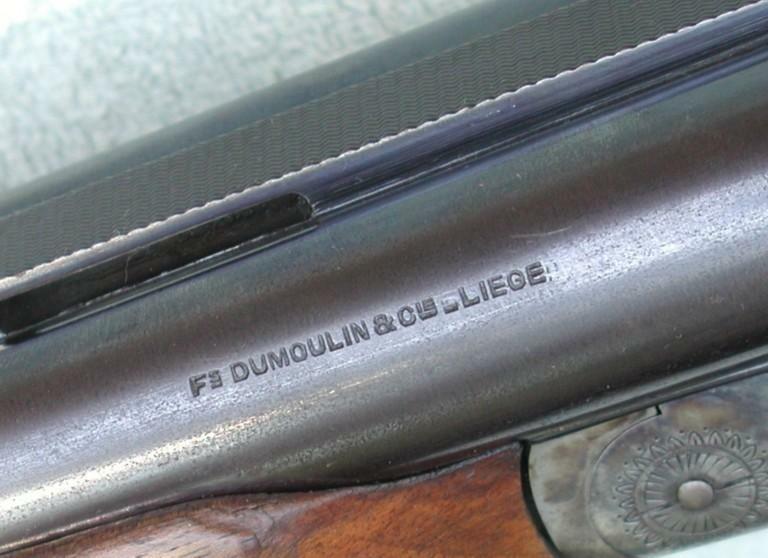 Rifle was manufactured in 1947 per firm DUMOULIN François & Co street Thiers of the Fountain, 2 in Liège (Proof house of Liege 1908/1968) probably starting from the guns provided by FALLA and manufactured with CAPE steel. This process was current at the time. 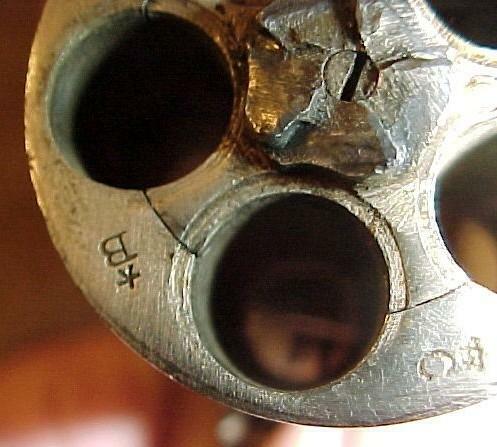 Photographs friendly authorized by "Collectorsfirearms"
Revolver with crack of the type WARNANT, opening of the type S & W, extractor in “star”, center fire, six shots. Of the bench of tests of Liege: invisible on the photographs. Many thanks to "ANTIQUEFIREARMS" for the photos.